Compatibility: I have used it on Win XP, Win Vista, Mac OS X and Windows 2000. No issues at all. Speed: I copied 8 GB worth of data on the very first day. With write speeds around 15+ MB/s - it performed as expected. Its not the fastest but it is adequate for 99% of users. Durability: Well, I didn't think I could say much about this except that it has worked fine daily for the last month or so. I will add that this little device did survive a full wash and dry cycle and still is chugging along. I think that speaks volumes about its durability. I know its a SSD so it should be expected to survive such things - but you don't believe it until you see/experience it. Asthetics: It is very compact. It has an orange light that flashes when it is in action. The USB connector retracts. Simple, nothing fancy though it does have a nice look to it - what more can you ask for? Price: This is certainly not the cheapest 16GB drive out there but with the SanDisk name behind it, it certainly is a value buy. Another plus. 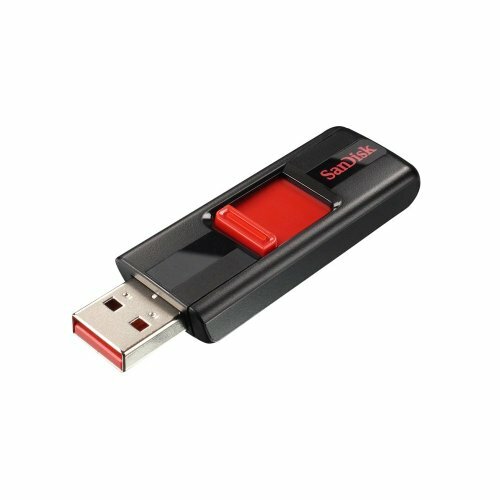 I would highly recommend this product to anyone who is looking for a fast, widely compatible, durable and value USB drive that has enough space for anything you would want to put on it. So in short- Buy It! Comments on "USB Flash Memory Drives"